An assortment of organic delicacies for the Passover Seder with the addition of a Seder plate made from recycled glass. All packaged as an eco-friendly and socially conscious gift. All products are Kosher for Passover by Chief Rabbinate of Israel. Some items may be Kitniyot. 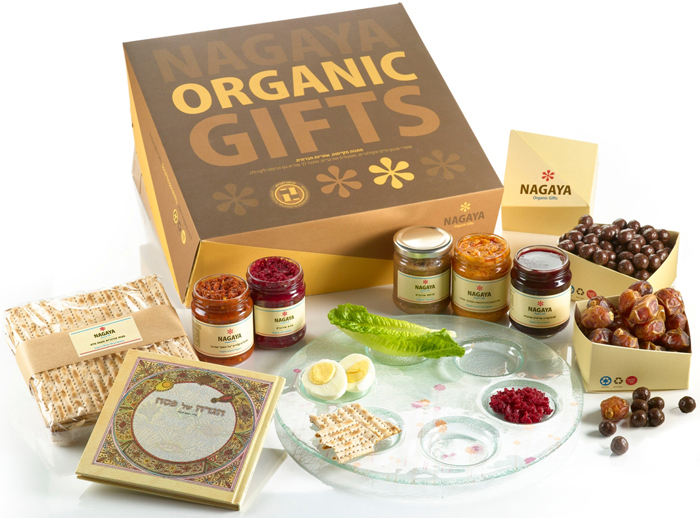 For the environment: Every Nagaya product is organic whose growth or creation betters the earth and its environs. The gift packaging is made from environment friendly recycled carton and is reuseable. Any bags used are biodegradable.